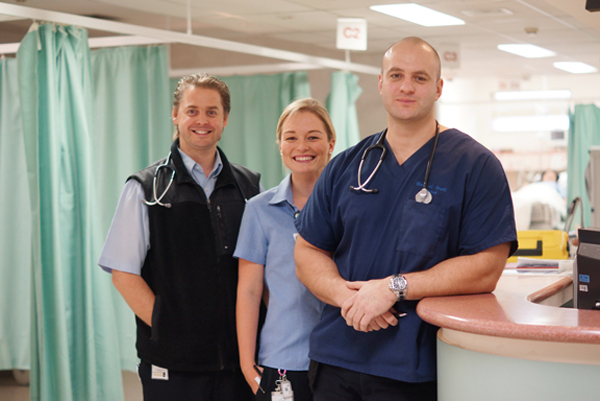 Goulburn Valley Health (GV Health) is the largest employer in the Goulburn Valley Region, employing more than 2,000 staff. GV Health is located in Shepparton in northern Victoria, just a short two-hour drive north of Melbourne with proximity to alpine snowfields, rivers and lakes, wineries and the arts. We enjoy glorious weather, a great lifestyle and the sports and attractions of a major regional city. GV Health is a 280-bed acute and extended care facility, which provides surgical, medical, paediatric, oncology, obstetrics and gynaecology, intensive care and psychiatry services, as well as extended care and regional services. Two smaller campuses are located at Rushworth and Tatura with acute and aged care beds. If you think you would enjoy being a part of a dynamic team, take a look at our current vacancies by clicking on the link below. For other enquiries please contact the Human Resources Department on (03) 5832 2081 or via employmentservices@gvhealth.org.au.